As stated in my first post, my official vegan journey starts on February 7th along with everyone else. However, since I’ve been limping around for over a month, not exercising much, coughing, and taking pain killers and decongestant cough syrup, it seemed like a good idea to get the jump on the official program by doing a little pre-program vegan eating and system cleansing. Week one of my journey can be found here; this page covers week two. Today is the official start of my second week of vegan eating. I’m happy to report that its going very, very well. 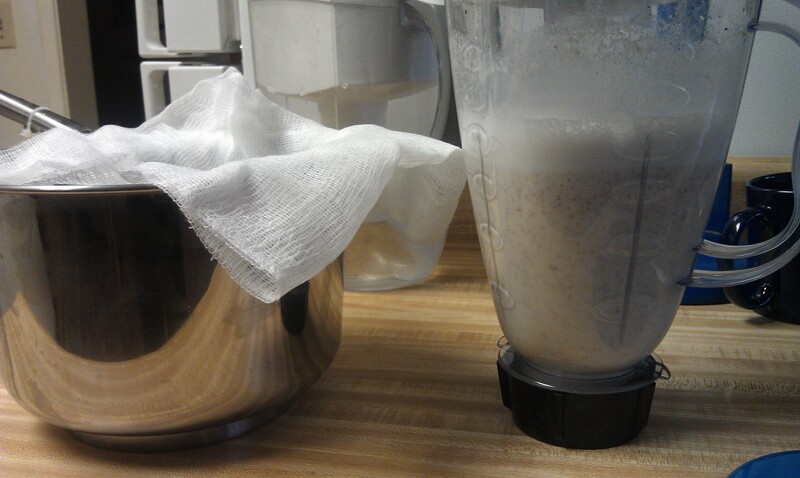 Yesterday I made some almond milk, and it was the most delicious beverage (besides a martini), that I’ve ever had. Rich tasty, creamy, smooth, slightly sweet with a touch of vanilla. The cost is so much less than store bought, and the taste… there is no comparison. The quart of almond milk cost about $1.20 tops to make. If you want to try it yourself, find the recipe here. For dinner last night I made Kale and Mushrooms Gravy with Millet. Devine. I could eat it every week — no problem. Still skipping meals though because I just haven’t been getting hungry until later in the day. All that changed this morning when I woke up with my stomach growling. That’s right, I finally got some sleep last night. Lying in bed thinking about what I was going to eat today, I decided to make some oatmeal to have with my almond milk. Added grated carrot, grated apple, chia seeds and walnuts to up the protein, and sprinkled it with nutmeg. Delicious! Doing a quick calculation of the meal, the protein content was: 1 oz chia seeds 4.7 gms, 1/2 cup almond milk 1.0 gms, 1 cup oatmeal 7.0 gms, and 1/4 cup walnuts 4 gms. Not bad! Lunch was leftover kale and mushroom gravy, and a salad of romaine and the marinated tomatoes, cucumber and onion salad from two days ago. I added some avocado to it tonight for extra potassium. Man, that was tasty. Still smacking my lips. Project today was to work on the blog, finding and adding resources and more recipes. I found and have been forwarded links to some great recipe blogs. However, I wanted to link to resources that focused on black vegans and vegetarians but finding quality vegan and vegetarian blogs run by black folks is not easy I’ve discovered. That’s okay, because over the next 2-3 months I’ll work on building up this site which can hopefully fill in that blank. If you have recipes you’d like to share, please use the Recipe Submission form and send them in. Make your pictures as sharp and well-lit as possible. Hard to believe the first month of the year is at a close. Jeez. The older I get, the faster time flies. I remember being a child waiting for my birthday or Christmas to come… it seemed like FOREVER and two days. Now a year goes by in a blink. Spent more time working on the site preparing it for the launch of the 21 day challenge on February 7th, after eating a breakfast of oatmeal and pumpkin seeds with almond milk and green tea. Had an apple for a snack, ate leftovers (last of the mushroom gravy and millet, along with the last of the cabbage and carrots) for lunch. Then I made black bean and quinoa burgers on an Ezekiel sprouted grain bun, and oven sweet potato fries for dinner. Man, I had a lot of grains today, far more than I would normally eat. Hmmm. Wonder how that is going to reflect on the scale. Anyway, making these burgers was interesting. Most of the recipes you find online are rather PLAIN, kinda BLAND. African Americans generally eat food that uses many different seasonings and herbs, so everything has an intense flavor. Most of this stuff doesn’t have much. To make things palatable, I’m putting my spin on pretty much everything I make. For example, making this recipe from an online site, I realized it was not going to taste like anything I wanted to eat without doctoring on it substantially. So I added onion, black pepper and seasoning salt. If you make the recipe, feel free to add your favorite own burger making additions to it. I’ve been thinking about the changes I’m experiencing. What am I noticing about this journey thus far? Several major things. I get hungry at 2:00-3:00 am. Even if I’m asleep, I wake up hungry and get a light snack. I’ve had hummus, an apple, mandarin oranges, and a glass of almond milk recently. I have ridiculous amounts of energy and don’t get tired as quickly. Blood pressure is dropping little by little. Lost 2 pounds (probably just fluid retention because my calorie intake is NOT different). Don’t seem to need as much sleep, but when I sleep its deeper and more restful. Less back pain, something I’ve been struggling with for several years since an accident took me down. Less inflammation/swelling/bloating all over my entire body. No more awful stomach aches in the morning (it had gotten so bad my doctor gave me a prescription to take every morning before breakfast). Spending a lot less money on groceries. This diet appeals to my artistic side — I love the flavors and colors on my plate so much, and the wide variety of dishes, that I don’t miss meat at all. All in all things are working out very well. Wondering if I could continue eating as a vegan at least 90% of the time after this challenge is over. Hmmmm…. 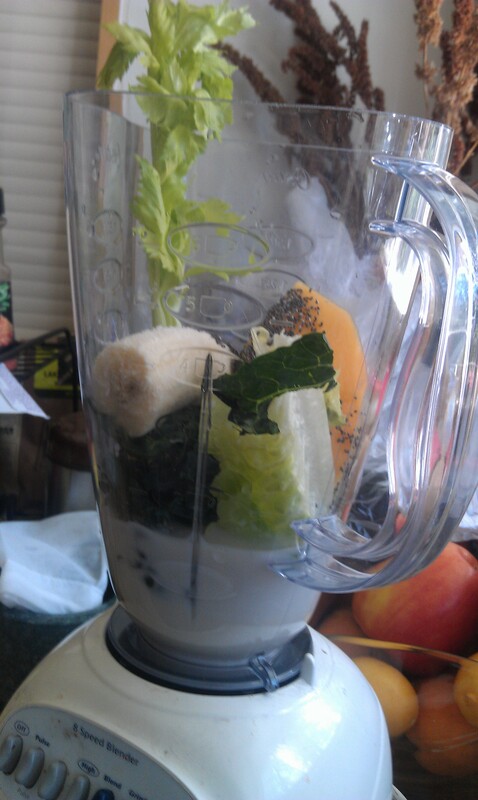 Got up and made a smoothie for breakfast using something called peanut flour that a friend gave me to try. Added it to a smoothie I threw together with 1 stalk of celery, a bit of kale leaves, a bit of romaine, 1/4 of an avocado, 1/4 of a fresh papaya, 1/2 a frozen banana, 1 cup of Creamy Vanilla Almond Milk, 1 tablespoon of chia seeds, and 2 tablespoons of the peanut flour. This was pretty good, it had a nice, light, refreshing taste with peanut butter overtones without any of the fat or calories of peanut butter. Whoo hoo! Houston, we have takeoff! Now I have to get some for myself and use it in a variety of dishes. Peanut flour is defatted, high protein, and gluten free. I understand that it’s sold at Trader Joe’s and Whole Foods, so it shouldn’t be too hard to find. Can’t wait to figure out what else I can do with this stuff. Super Bowl Sunday. What a disaster that was. Well, not for ME because my money was on Seattle. 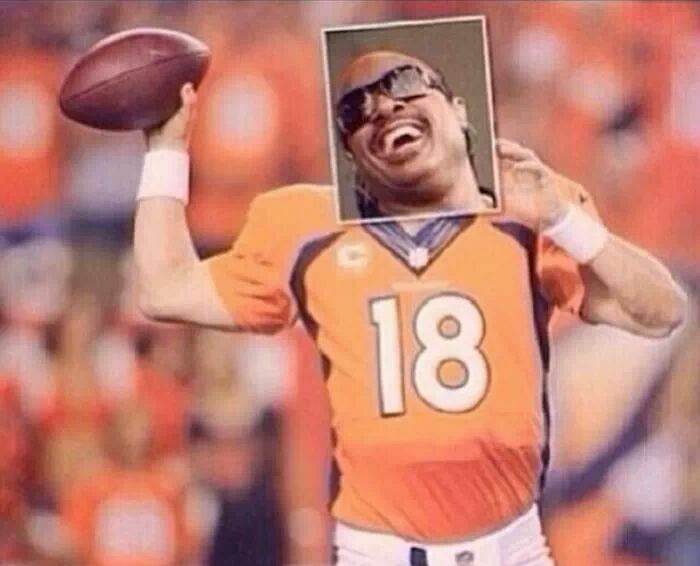 But for all the folks that bet on Payton Manning… SUCKAS! He played like he was in Pee Wee league. And you know folks went IN on him with memes galore. Here’s my favorite! Woke up this morning craving granola, so I walked down to the store and got some. Came back and had my 1/2 cup granola with 1/2 cup of almond milk. Very tasty. Finished that up with two Cutey brand mandarin oranges. 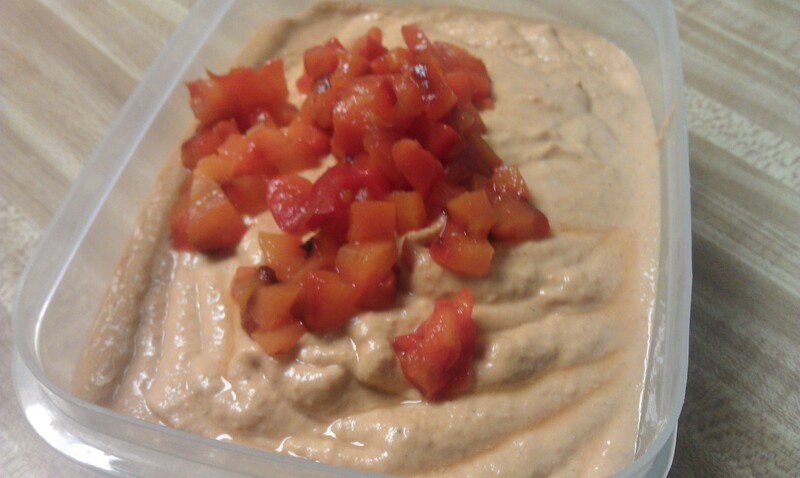 I also made some roasted red pepper hummus, which I intended to have for my Super Bowl snack. This stuff was so good. If you like hummus you need to make some, because it saves a ton of money and tastes way better than what you get at the grocery store. Then for dinner, I made a dish to use an eggplant I’ve had sitting in the refrigerator for a week – Eggplant and Tomatoes Over Pasta. I threw in a few baby bella mushrooms I had sitting around as well before they went bad. Doctored on the recipe I found online somewhere quite a bit, so what you see is vastly different from the one I first saw. Washed it down with red wine. Hey, that’s vegan! One of the problems I’m having with the recipes on major vegan blogs is the BLANDNESS of the food. They use an herb or two, salt and pepper and think that is doing something. Ummm, NO! Black folks need our food to taste like something, and to me that is going to be one of the major challenges of “going vegan”. That’s okay because I’m a pretty good cook and definitely know my way around some herbs and spices (even international cuisine). I’ll do what I can to make the recipes I post tasty. Working on putting together a list of things you should have on hand when beginning a vegan eating program. Look for it no later than Wednesday the 5th. I want you to have time to go shopping and clear out the foods that are NOT okay to eat for the next 21 days. Stick them in the freezer, eat them, or give them away. But prepare for success, that means planning. Granola again for breakfast. I think I like that stuff! Almond milk is so bomb, where has it been all of my life? Posted several recipes and a piece about vegan and non-vegan pasta, along with an article about Sheryl Underwood trying a vegan lifestyle for February right along with us, AND one about celebrity black vegans. You’ll be totally surprised at some of the folks that are vegan! At the store today I bought some Earth Balance, which is a vegan butter spread. 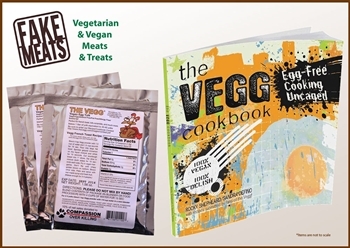 Rocky Shepheard, the owner of the company, was kind enough to send along The Vegg Cookbook which contains about 30 recipes that use his product instead of chicken eggs. I look forward to trying it out over the weekend and will post my results on the blog. How am I feeling? Just fine, actually. Ridiculously energetic! Sleeping well finally… no more weird dreams. No bloating. No more diarrhea after the three detoxification days. Yay! I’m thinking this experiment may turn out to be one of the best decisions I’ve ever made for my health. 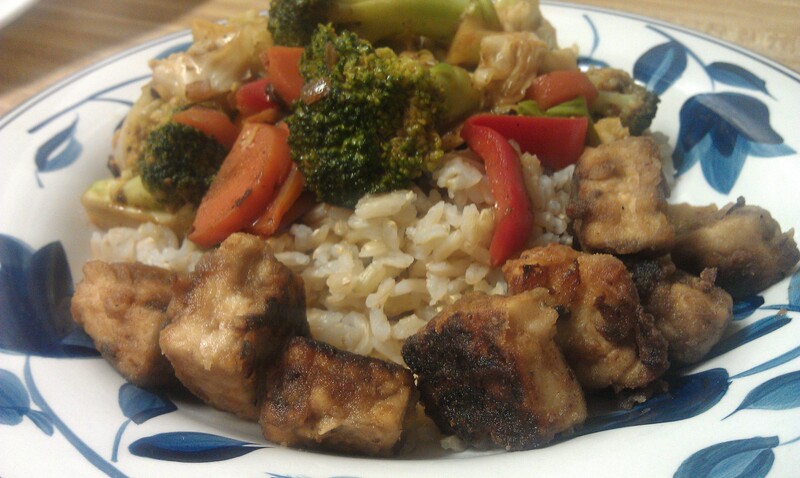 Didn’t much feel like cooking today, so I ate leftovers. The stir fry that was supposed to be for two ended up being enough for me to eat three times, so that’s what I ate today for both lunch AND dinner. I know, bad. But I just didn’t feel like it. Had I been stocked with some sort of pre-made vegan frozen dinner or something, I would have happily eaten it. I could have driven over to Chipotle I guess. I’m dying to try one of their Sofritas — maybe this weekend. For a snack I had a sprouted grain pita stuffed with romaine and hummus. 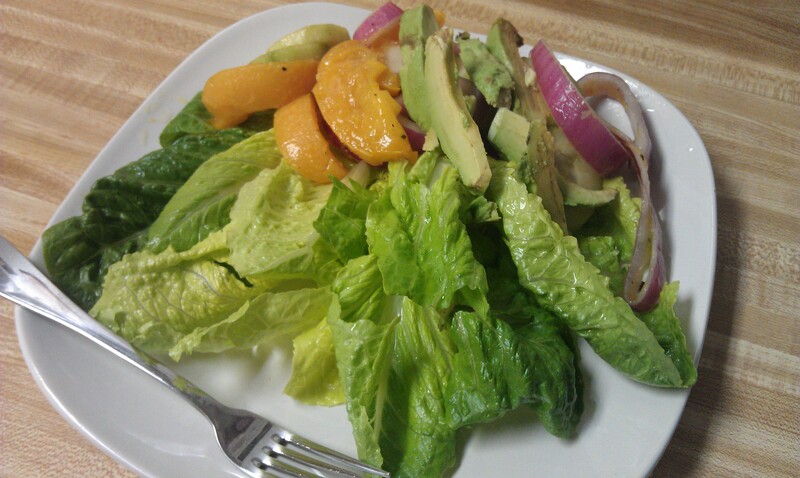 After that I watched Forks Over Knives again to refresh my memory, then I had some red wine and off to bed. One thing I learned that I didn’t know before is that Dr. Arthur Esselsyn from Forks Over Knives has a son who is also into food and vegan eating. And guess who that son in? The guy who works as a firefighter in Texas who started The Engine 2 Diet program, Rip Esselsyn! Isn’t that interesting. Well I thought it was. In case you want to take a look at some of HIS recipes (he also has a cookbook), check them out. 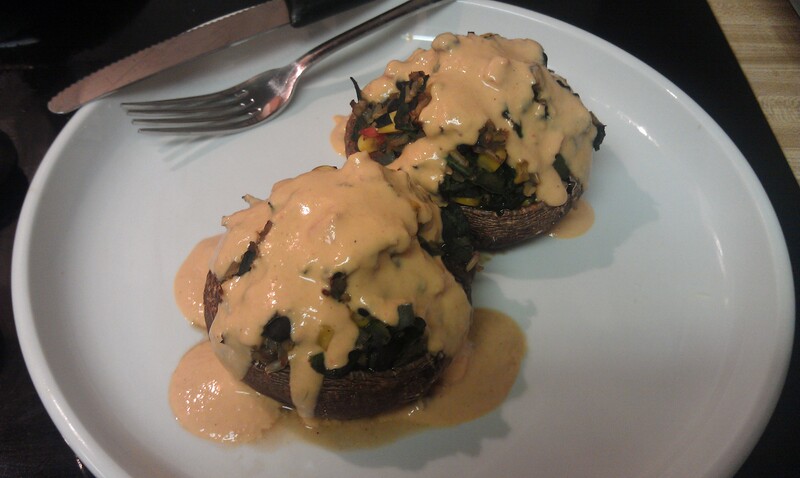 The Engine 2 Diet favorite recipes. Got up and had to run out for an 11 am eye exam, so I didn’t have “breakfast” until mid-day. 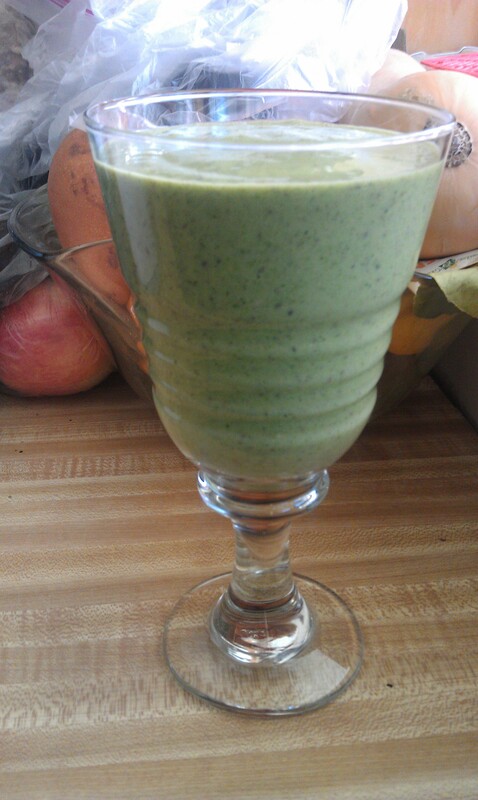 That was a huge green smoothie that I just threw together. Put about 1/3 of a cucumber in it, along with about 2 cups of kale, 1/2 small avocado, some almond milk, 1/2 frozen banana, 4 walnut halves, a tsp of chia seeds, and 4-5 frozen strawberries. No lunch – wasn’t hungry. Considering making one of the Engine 2 diet recipes – either the “meat” loaf or the Stuffed Portobello Mushrooms with Hummus Gravy for dinner tonight. With a salad. Yay me! Though it meant I had to go out and deal with commute traffic to get to Whole Foods, it was worth it. The stuff I needed was on sale and marked down a whole $1.00. By the way, I saw a LOT of women in Whole Foods buying their vegetarian fare, putting together salads at the salad bar, and shopping. Though they were slim and trim (the rather upper middle class socialite bunch), most of them looked horrible. 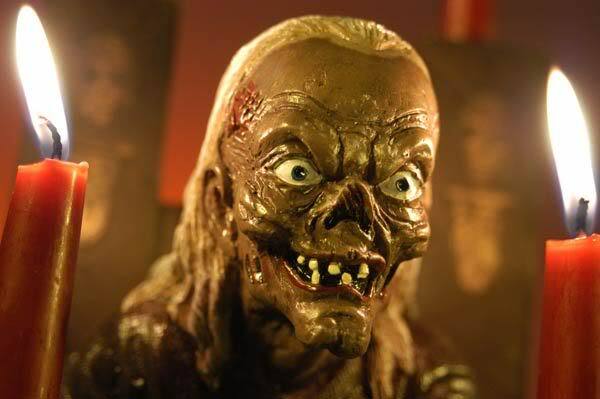 Like The Cryptkeeper in fashionable attire. Their skin was drawn and dry looking, as was their hair. And they had on too much makeup to try to cover all that crunchiness up. I was kinda yukked out. Everything packaged in their baskets was “NO FAT”, along with fruits and vegetables . Now I’m not of course their doctor and don’t know if they did have a medical condition that warranted such restrictive eating, but from my more than a decade of experience as a fitness trainer, I know for a fact that women need SOME quality fats in their diet to look right. The importance of Omega 3 fats cannot be ignored. Walnuts, flax seeds and flax seed oil, beans are all high in Omega 3’s. Dark chocolate is great too. Dark chocolate contains a number of minerals, including calcium, magnesium, and potassium. I wasn’t too sure about this combination of flavors in the stuffed mushrooms, but that was the dish I decided to go with for tonight’s dinner. Turned out pretty good, actually. It’s important not to overcook portobello mushrooms to get the valuable nutritional benefits. Anyway, looking forward to Friday and the official launch of the 21 Day Kickstart Challenge. At least that way I’ll have some company on this trip. Got up late this morning. Didn’t go to sleep until 5 am. Not sure what is going on with me and why I can’t sleep… but it may have something to do with the green tea I’ve been drinking like crazy. Had granola and almond milk for breakfast. No lunch. Today was my last day of eating non-healthy food. Since it was the birthday of one of my roommates sons, I made him a chocolate cake with chocolate buttercream frosting, and we had grilled babyback ribs. I ate three. First time eating meat in 2 weeks and it felt strange. I could SMELL the gamey pig smell. It was so weird… I don’t recall ever smelling that smell before. Once I got past the smell, I found myself torn between eating the ribs because they smelled good and I knew they would taste good (and out of habit), vs. knowing it wasn’t a good thing to be eating for my body. That’s why I only ate 3 small ribs. I balanced out my meal with red wine, red and yellow bell pepper strips, and sweet potato fries. Serious conflict of feelings over this. I can’t believe this is the same person who would scarf down a burger and fries like nothing a few months ago. But right now I just cannot see where its doing me any good to eat that way and it just isn’t satisfying at all. Tomorrow I begin the challenge with the other participants and really am looking forward to three weeks of clean, healthy eating. I’m so ready for this change. I’m done with animal products. I’d rather pet them than eat them. So tomorrow morning we take the two weeks of practice we’ve logged and move forward. One thing I know about eating vegan is that one must PLAN FOR SUCCESS. That means have food items around and easily accessible that meet the standards for vegan eating. Fruit, vegetables, ready to eat salad, frozen dishes and vegan burger patties, and soups and stews. In the morning I plan to walk down to the grocery store and pick up a few vegetables so I can make a vegetable minnestrone soup. I love minnestrone, just have to figure out how to make it taste good without using chicken. I’m so ready for the challenge. I just can’t believe how done I am with meat.